Olivia Cleans Green: What's New & Good at IIN This Fall? There are some exciting new developments in Institute for Integrative Nutrition's health coach training program. I just attended a teleseminar to learn all about them and am so happy to share them with you. It's awesome to see a great program like this one get even awesomer! You can watch me talk about the new and good at IIN on YouTube or read about it below. New live web class format. Starting with the October 2014 class, some of the classes taught will be live so you can see the faces of your classmates and teachers and interact in real time! IIN Learning Center launched in June 2014 and streamlined access to course materials. All the video and audio lectures, lecture notes, discussion boards, and reference library are accessible via the new IIN Learning Center. You can hop on the learning center via your desktop, laptop, or any type of mobile device with an internet connection. Best part: All of the content will be synced so if you start watching a video lecture on your iPhone (or Android) while you were on line in the supermarket you can pick up where you left off on your laptop during your lunch break at work the next day. When I was a student, lectures and notes were on classroom app accessible only via Apple devices, while the discussion boards and reference library were accessed on the internet via the OEF (which was a little 90s feeling). It got the job done but this new streamlined system sounds snazzy! More support via coaching circles. The coaching circles allow students to get guidance from an experienced IIN graduate coach. Students also get support from a smaller group of classmates they get to know more intimately over the year. Coaching circles meet six times during the program. I really valued the support I got from my coaching circle. I made great friends there and got valuable coaching! When I was a student, the six calls were 50 minutes long. Starting with the October 2014 class, coaching circle calls will be 90 minutes to allow for deeper work. Access to the calls will also be more international-student friendly. Curriculum takes a more inclusive approach to business development. In an effort to honor the fact that not everyone who studies at IIN plans to become an entrepreneur (or even a health coach), a greater portion of the business development lessons will focus on self-management skills and personal development that can help all people be more productive and successful in any endeavor. More video lectures to replace audio lectures. Updated primary foods and nutrition content, including new lectures from Gretchen Rubin, author of The Happiness Project, and Dr. Oz (*swoon*)! Updated healthy cooking DVD. Students get a free copy and can buy more to share with clients. It's an awesome resource! Updated reference library featuring helpful notes on over 100 dietary theories and more! Redesigned brochure and other marketing material templates for students to use in their business. IIN gives students everything they need to get started marketing their business. I made itsolivialane.com myself using an IIN website template. 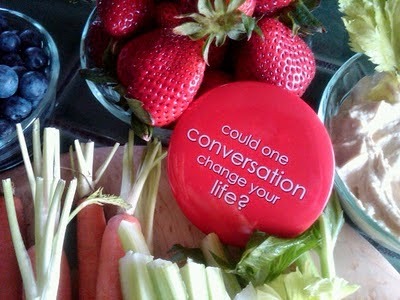 If you're interested in learning more about Institute for Integrative Nutrition, contact me. I'm happy to have a chat with you to learn about your goals and see if IIN would support you in reaching them. As a bonus, there's additional support and savings to my IIN referrals who decide to become students. See how to get in touch with me and get a taste of IIN here.